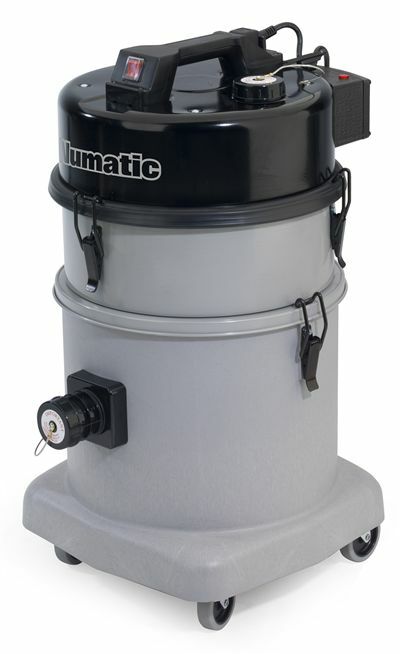 The twin motor version (shown here) achives a much higher level of air movement than many other hire vacuums, and makes short work of stubborn hard-to-move dusts. 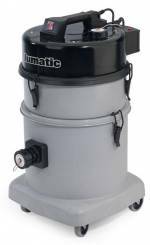 Available as standard in 110v these machines roll on castors making them straightforward to handle even when collecting heavy or dense material. 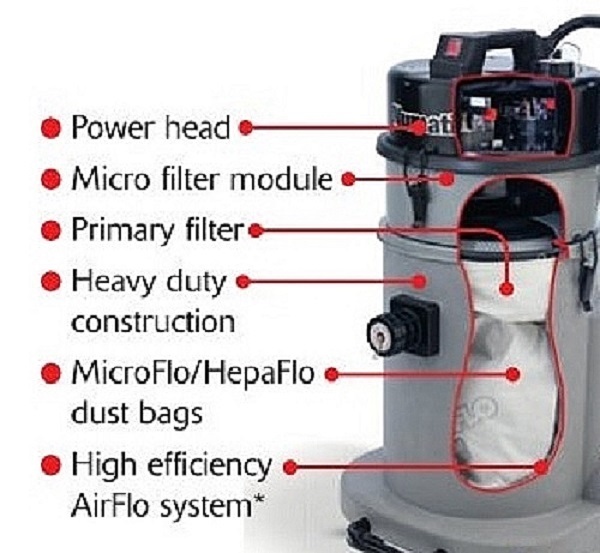 The HepaFlo dust-bag, together with the primary crossflow filter, maximises airflow to the HEPA (Micro) filter module; once full dust-bags can be changed in a matter of seconds. You can either collect hire equipment from our depots or we can deliver to your locations anywhere in the UK.